A retired couple in Washington, DC. 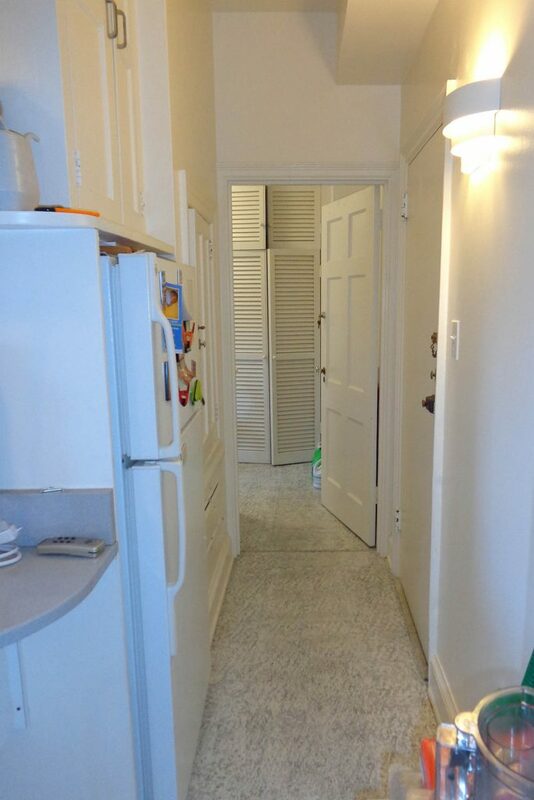 wanted a modern kitchen that wouldn’t detract from the historic charm of their pre-war condominium. Specifically, they sought more function out of the existing space without sacrificing its traditional details—or its coveted park views. We set out to achieve the best of both worlds, old and new. 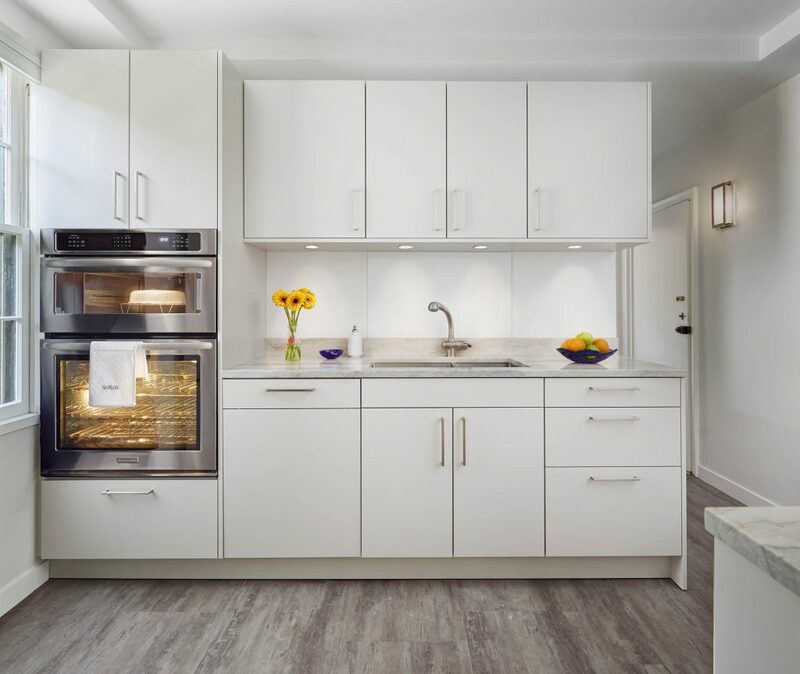 Soft gray cabinetry, filled with efficient storage like internal rollouts with customized organization, increases both storage and counter space. 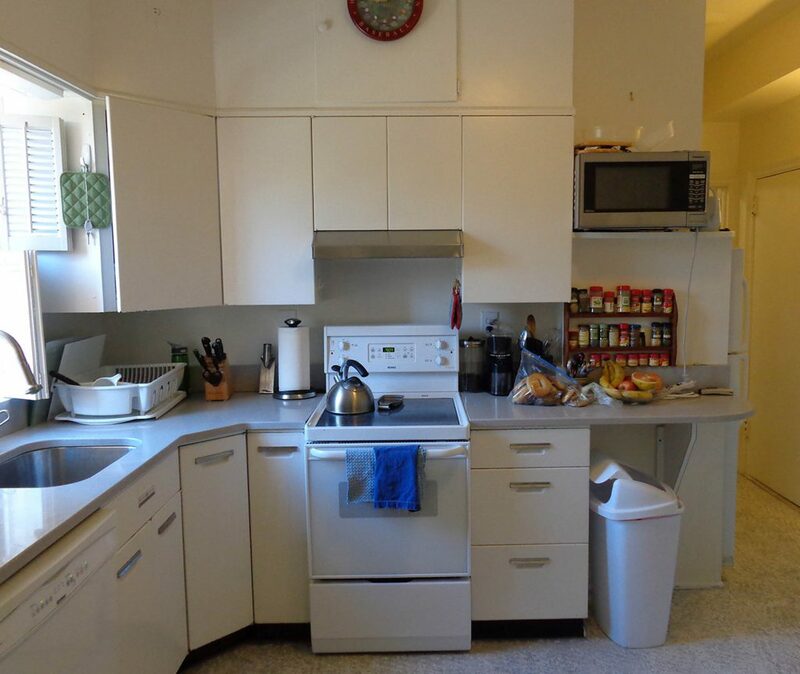 Updated stainless appliances make this kitchen ready for any home cook’s needs. 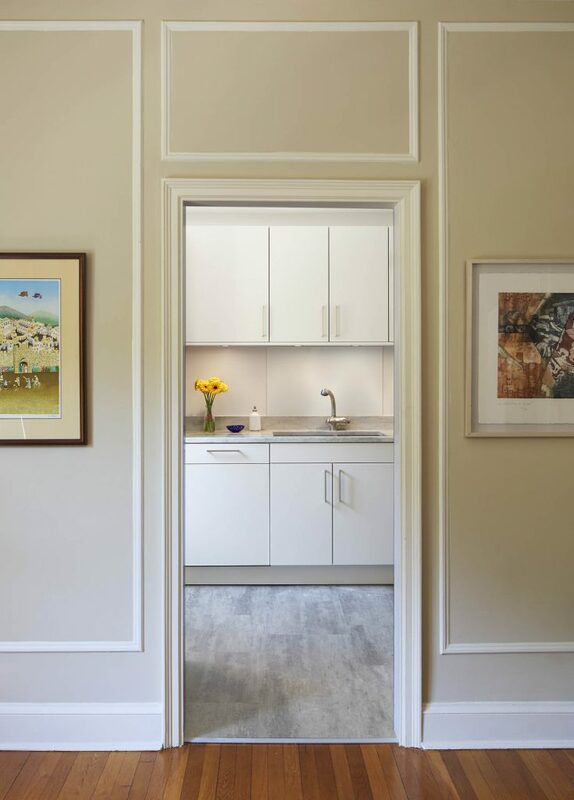 The new kitchen boasts a more efficient layout within the original footprint of the space, with improved form and function for a hard-working, yet airy kitchen. 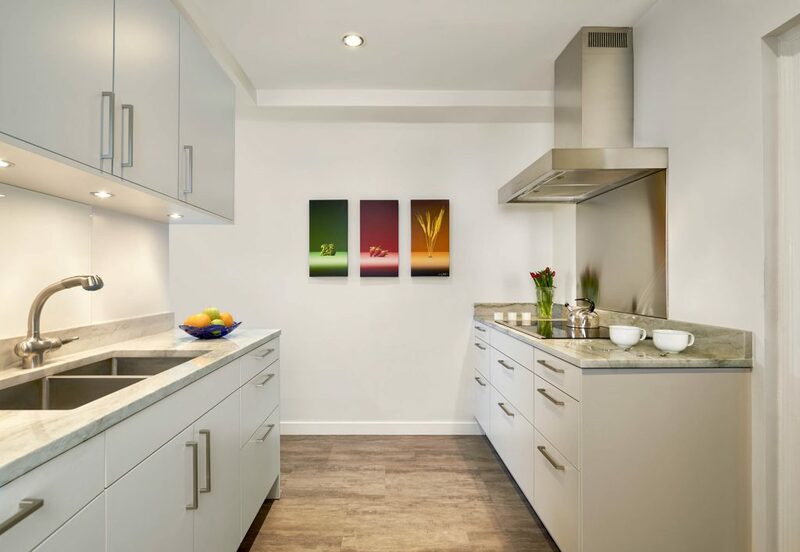 Multiple lighting sources within the space include exhaust fan, recessed and under-cabinet LEDs. The innovative luxury vinyl flooring is highly durable, stylish, and comfortable under foot. To make the most of the natural scenery and light, we uncovered a partially blocked window, dramatically amplifying the room’s natural light and unobstructed views. 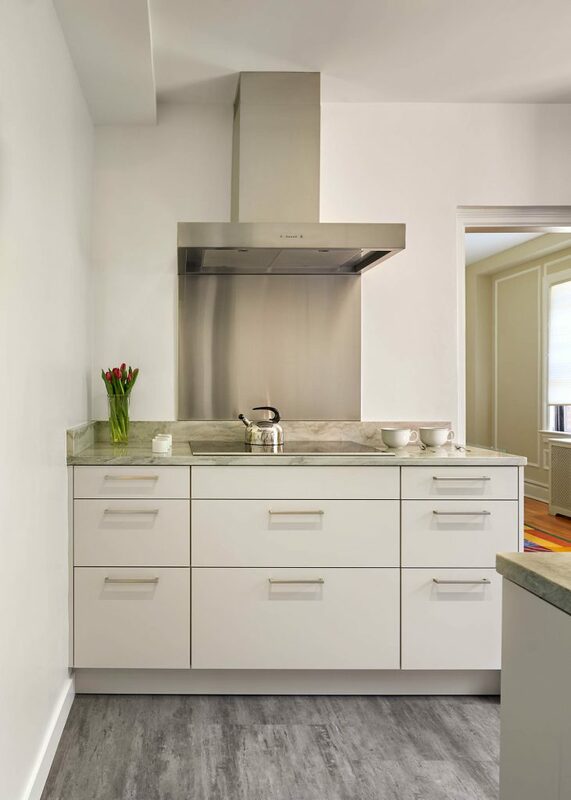 Durable quartzite counters in sea pearl—a serene blend of greys—seem to change slightly with the weather in the park, adding interest and elegance to the space. 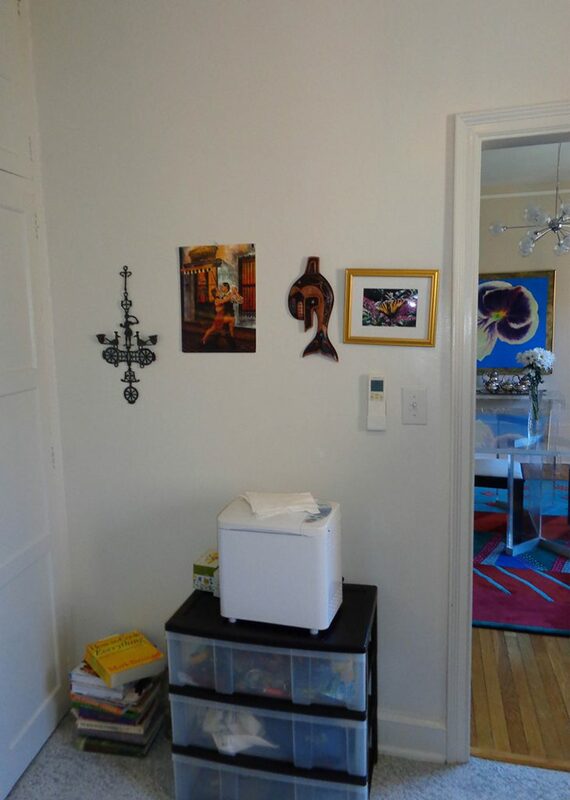 As is often the case in historic properties, we soon encountered challenges: existing services—including an abandoned dumbwaiter shaft and gypsum block walls—could not be easily relocated. 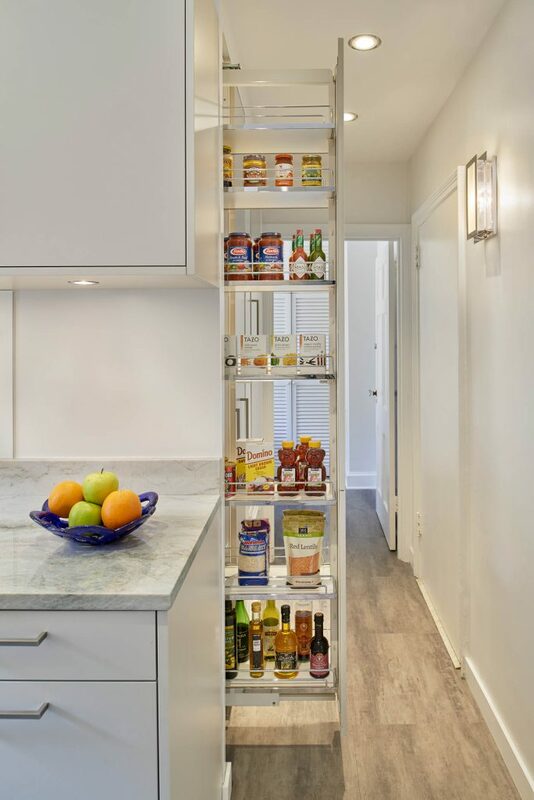 Our careful approach involved both design and construction solutions, including the modification of pull-out cabinets to create more storage and visually integrate immovable elements. 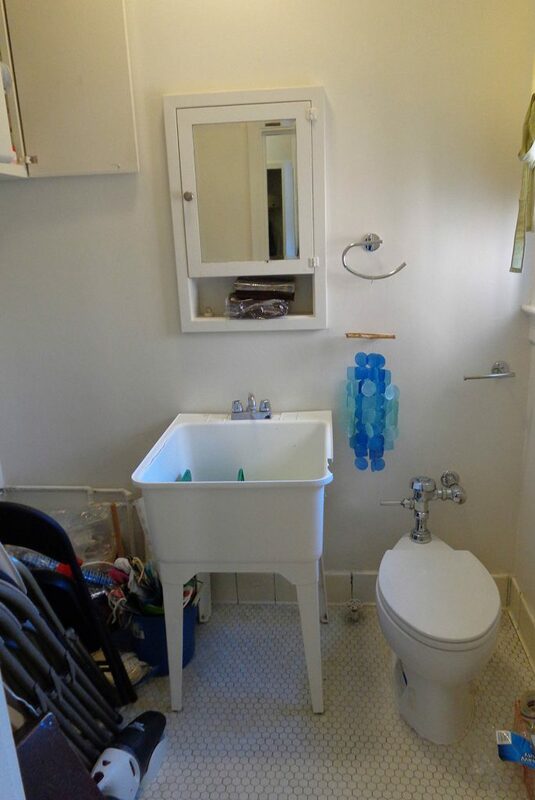 Minor improvements and details make this powder room fresh again. 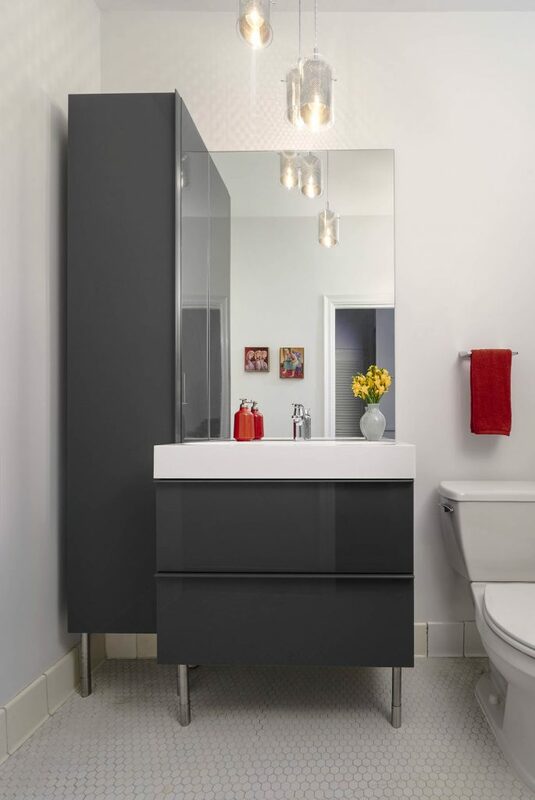 A contemporary vanity and vertical cabinet allow for generous storage and provide needed contrast against the abundantly white palette. Delicate pendant lights highlight the lofty ceilings and add interest to the small space. Awarded the 2016 National Association of the Remodeling Industry (NARI) Capital CotY Award: Kitchen under $50,000.